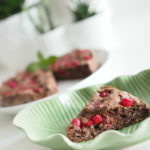 Redcurrant "Nutella" style cake - redcurrant's health benefits - NOURISH TO PERFORM. While sadly strawberry season has come to an end, reducrrants are the stars in the berry sky right now. They always remind me of my grandmother because every year we harvest a lot of redcurrants in her garden to make cake, syrup or freeze them for baking. I love the sour taste which goes perfectly along with this rich chocolate „Nutella“ style cake. But they do not only taste amazing, they are also low in calories and glycemic index but provide you with a lot of nutrients. If you want to know which ones, scroll down for information! As you probably noticed on Instagram, I’m trying to buy as much local products which are in season as possible. So stay tuned for some more redcurrant recipes coming your week the next few weeks! If you want to join my movement to embrace local food, simply post your local bowl of happiness on instagram using #localbowlofhappiness and tagging me so I can see your creations. They can be sweet or savory, vegan or not, breakfast or dinner and so on! I want everyone to participate and show me how to be creative with local and seasonal food! → building blocks of life, important in the growth and maintenance of every cell in the body. 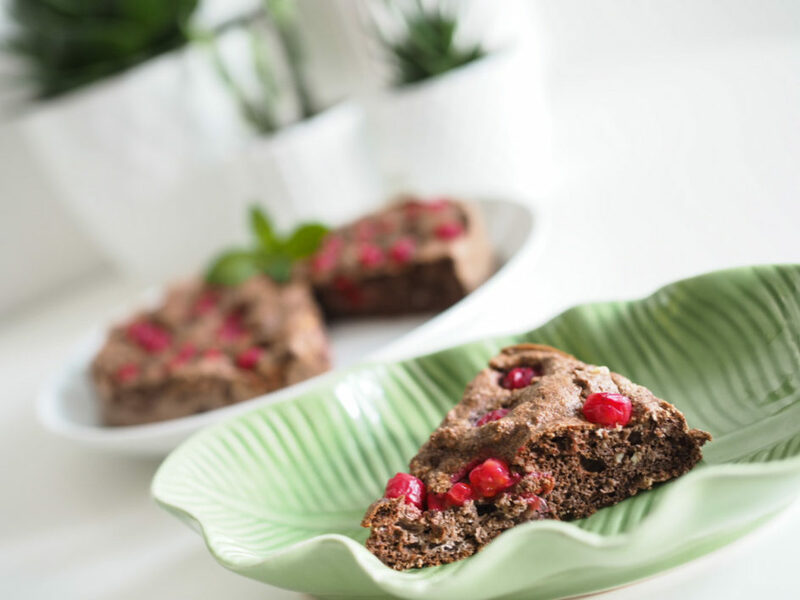 Mix ground hazelnuts, almond flour, ground chufa, cacao powder, egg yolks, baking powder, baking soda, vanilla and sweetener with nut milk. I love to also add some hazelnut butter for intense taste and better consistency./Die trockene Zutaten mit Eigelb und Nussmilch verrühren. Ich füge gerne Haselnussmus hinzu. Das sorgt für intensiveren Haselnussgeschmack und einen cremigeren Teig. Whisk the two eggs whites until stiff and fold into the dough./Die zwei Eiklar steif schlagen und unterheben. Fill the dough into a pan (I'm using a 16cm silicone spring form pan) and top with redcurrants./Teig in Form (ich verwende eine 16cm Silikonspringform) füllen und Johannisbeeren darauf geben. You can also add some chocolate drops./Man kann dem Teig auch prima Schokostückchen hinzufügen.